Millions will be tuning in for the big game on February 3. Some people watch it for the football. Others, for the advertisements. 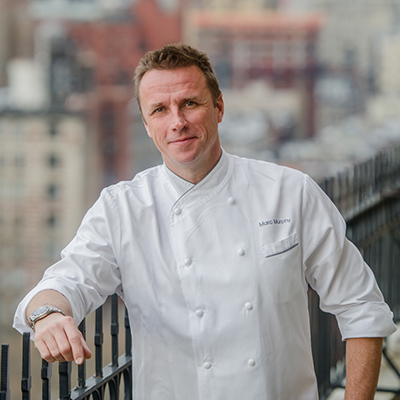 But for Landmarc Chef Marc Murphy, it’s all about the food. “I guess it shouldn’t be a surprise, being that I like to eat so much,” he says with a laugh. On the big day, Landmarc — which is part of The Restaurant and Bar Collection at The Shops at Columbus Circle — will be screening the game and also offering takeout. 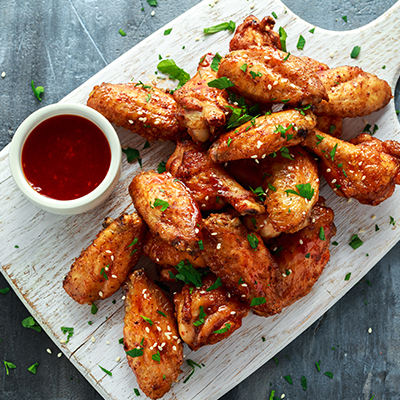 Want to perfect your big game bites at home? Murphy has advice for what to make. A beautiful deviled egg is my favorite snack. And it’s one of those things that you can tweak with ingredients like dill or pickled jalapeños. 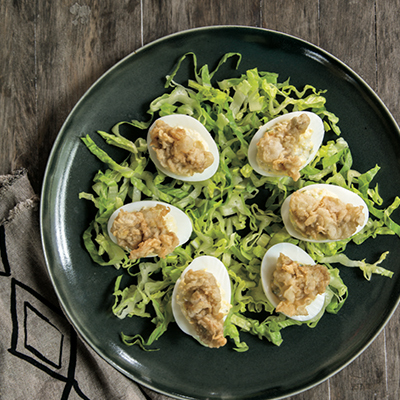 You can also make deviled eggs ahead of time. Prepare the mixture and put it into a Ziploc bag. On the big day, cut the corner of the Ziploc bag and pipe the filling into the eggs. Another tip: Deviled eggs taste much better when they’re not cold out of the fridge. We serve wings at happy hour at the bar at Landmarc. Wings are another blank canvas. You can do sweet and sour. You can do barbecue. At home, I don’t fry wings. I bake them the day before, then reheat them. Also, make sure you have plenty of Wet-Naps around, so your guests don’t get their fingers on the couch afterwards. I’m not crazy about sliders because I feel like there’s sometimes too much bread in comparison to the amount of meat. 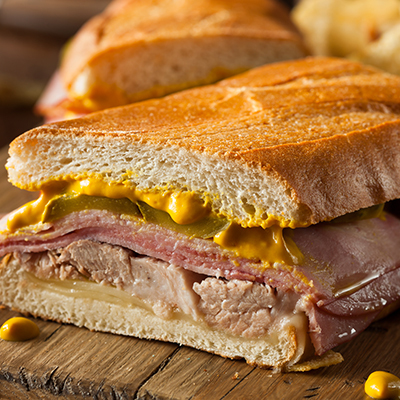 But what I do like is a great Cuban sandwich with a pickle, a slice of ham, a slice of roast pork, yellow mustard, and soft bread. You can build a bunch of sandwiches the day before and then cook them on a press or in a pan. Cut them into little bites. 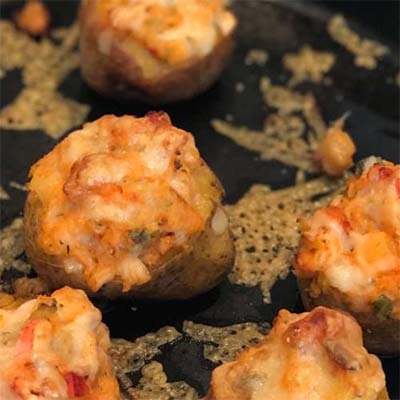 Another thing that I love for the big game: twice-baked lobster-stuffed potatoes, which are featured in my cookbook, Season with Authority. They’re made with potatoes, sour cream, Gruyere cheese, and lobsters. You can make them the day before, and you can make them small enough that they can be a two or three biter, standing up in front of the television. They’re a real fan favorite. 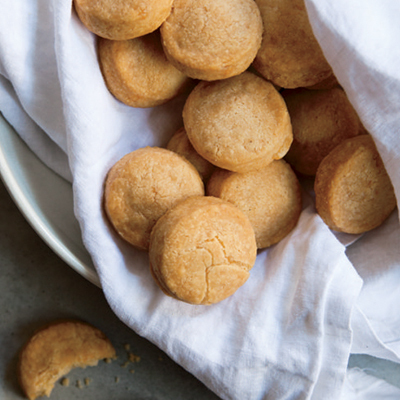 Something I always have in my freezer: Parmesan cookies. It’s an easy recipe in my cookbook that I learned from my mother. It’s one part real Parmesan, one part butter, one part flour, a little bit of black pepper. You mix all that up, roll it into a log, wrap it in Saran Wrap, and put it in the freezer. When people come over, you cut the log into thin cookies and bake them. They’re phenomenal. Another thing I always have in my house — Virginia blistered peanuts, which I buy online. 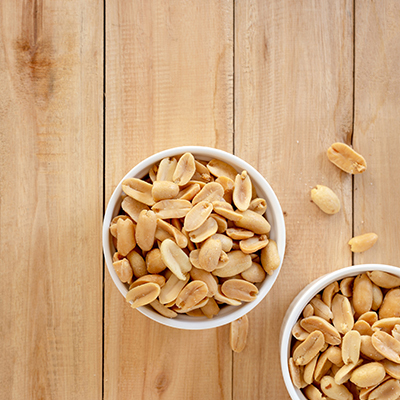 They’re the superstar of peanuts.